Hope in the American Ideal; and empower at-risk youth to Realize their maximum potential! 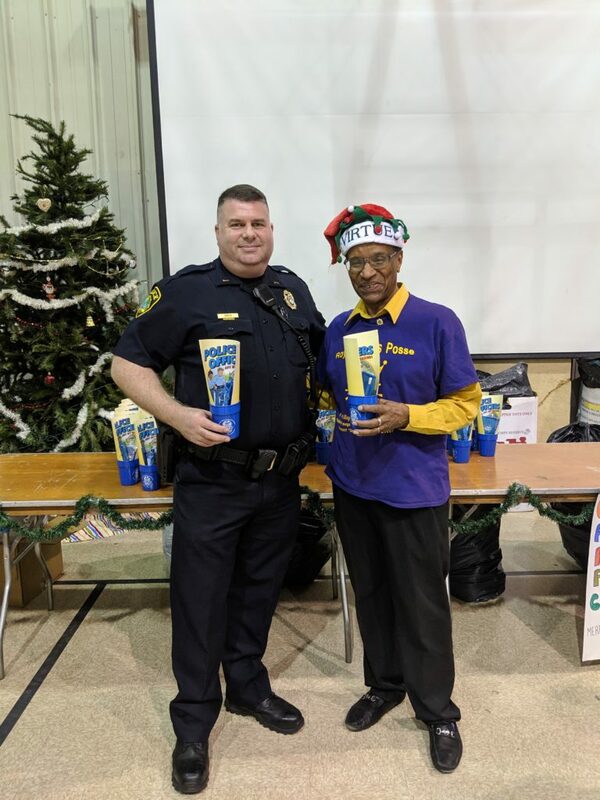 police officers from the North Prescient brought presents for members of the RVP (Royal Virtues Posse). Jill Dazskowski, Acting Assistant Chief of NNPD along with Molly Bartley, Acting Captain, North Precinct were present. 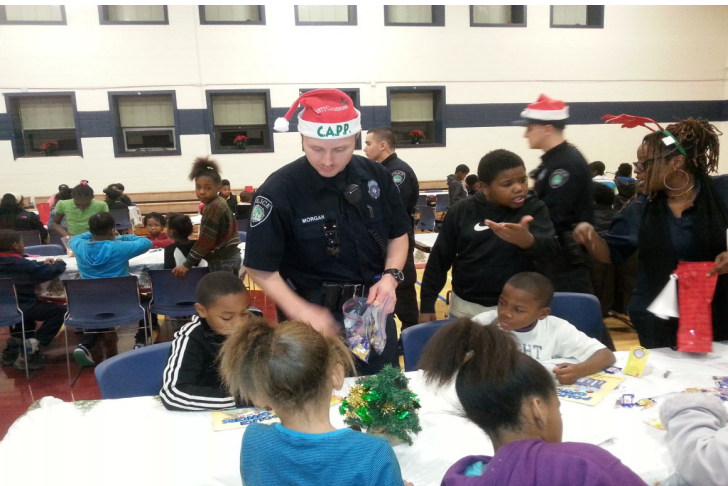 This was the third year for Police Presence with Presents.